It may be winter but it’s never too late to plan ways to rejuvenate your patio! Here are some ideas to breathe new life and imagination into your outdoor patio! Let’s be honest, a patio is awesome but without comfort, you probably won’t enjoy it for long. Change this by bringing in new outdoor furniture to bring in enhanced comfort and change the look of your patio! 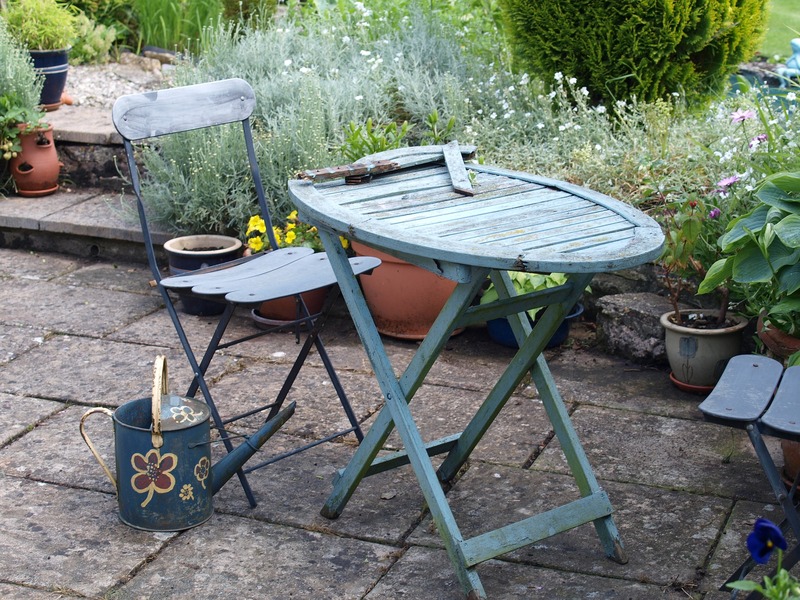 Consider installing fixed seating with materials such as cement to ensure protection from the elements while avoiding having to keep moving unsecured chairs. Something a little less permanent? Why not change up your outdoor accessories by bringing in wooden or wicker seating, a new table, and perhaps even an outdoor couch to turn your outdoor patio into an outdoor paradise! If you want to add decorations to your patio, why not incorporate outdoor sculptures or other artworks? This will this make your patio more interesting and create a kind of narrative to your patio. You could even decorate your patio around an interwoven theme or design style, perhaps you’ll encircle your patios with Greek-style statues or perhaps animal statues. Adding lights to your patio is both practical and decorative. Not only will you be able to avoid accidents at night, but by properly lighting your patio you can enjoy your patio into the night for as long as you want! Bringing lights into the patios is another way to be creative too. if you decide to add statues to the patios, your new lights can highlight the statues for your guests to see them at night. You can also add subterranean lights to outline the borders of the patio – your options are endless. Remember, like any room in the house, the patio is an expression of your home, let yourself be creative with how you present the patio! If you’re worried about the return of a hot sun, add some shade to the scene. This will help you keep cool and enjoy your patio without fear of sun, rain, or even some winter elements. Incorporating a new awning over your patio can also add to the cozy atmosphere and compliment the overall design. Another option could be to build a wooden-overhead arch to enhance the visible display of your patio. Not only would such a structure provide protection but also add a sense of enclosure to your patio. A wooden overhang also gives you lots of design and color options you can use to make your patio truly unique! Whether it’s winter or summer, a firepit is another great way to revitalize the patio! This is a great multi-seasonal accessory that’s not only a good source of warmth in the cold but equally good for roasting marshmallows in the summer too. The style of the firepit can also mirror your overall design for the patio, serving as the final touch to your outdoor lounge. Set your firepit in the center of your patio for a cool campfire-like vibe or have it serve as a kind of fireplace alternative at the end of your patio to reflect warmth back to you and your guests. Stoked to redesign, refine, or repair your patio? Excel Fencing and Decking is ready to help all-year-round! If you have a vision for spicing up your patio, we can help you make it a reality! Excel Fencing and Decking has been proud to service Maryland since 1998, giving you the very best in-home remodeling. Call us at 410-803-9499 or fill out a contact form and one of Excel’s representatives will contact you promptly. This entry was posted on Saturday, December 16th, 2017	at 12:54 pm	. Both comments and pings are currently closed.